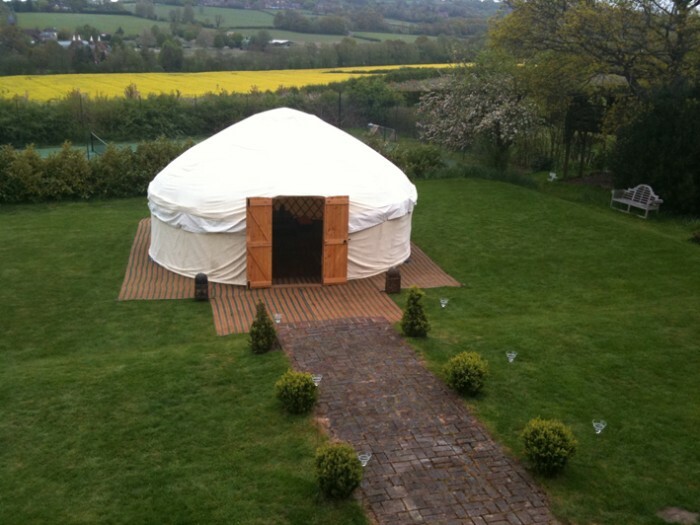 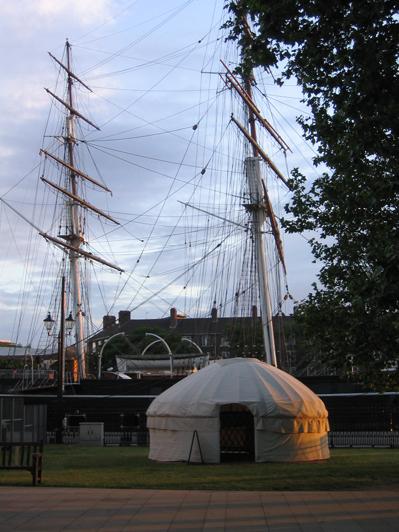 The domed Mongolian Yurt provides an interesting and practical alternative to a marquee. 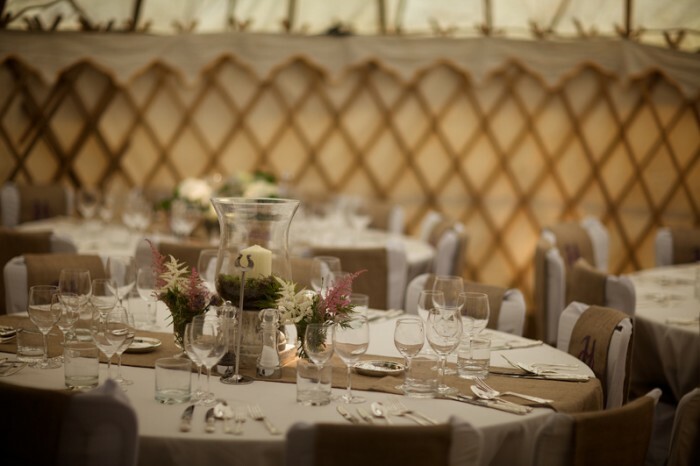 Yurts are our most versatile structures and can be used alone for intimate cosy dinner parties, as additional satellite rooms to our Pavilions for weddings and parties or for luxury camping accommodation. 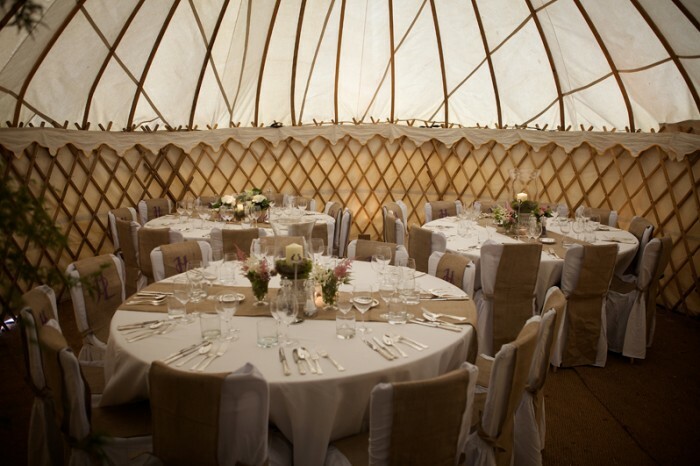 A hugely practical use is as a children’s den attached to a wedding tent to keep them occupied during dinner ! 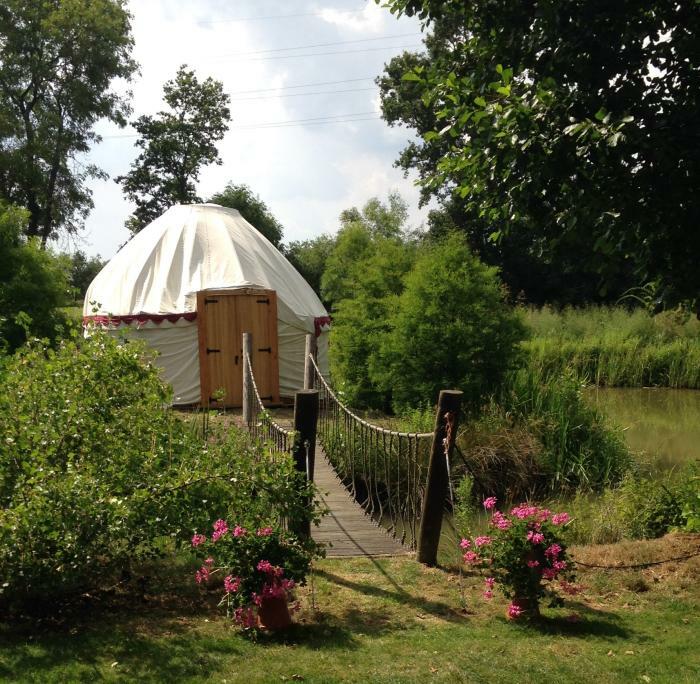 Or why not surprise your loved one with a lavishly furnished ‘Bridal Suite’ Yurt tucked away in the woods on your wedding night. 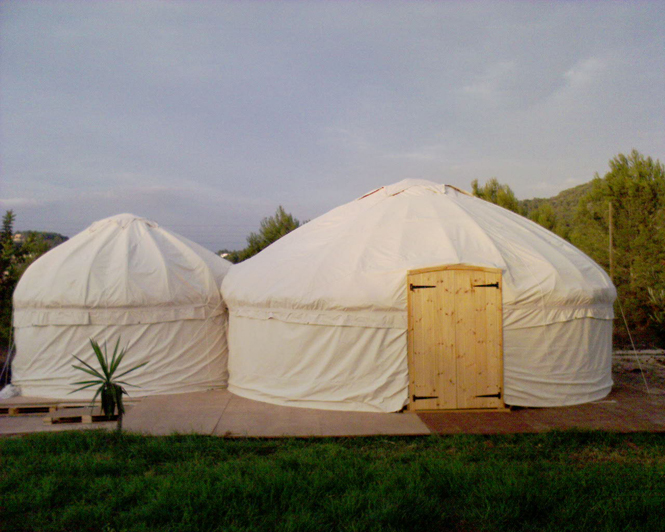 Fully waterproof making them warm and cosy on chilly evenings the ancient design allows the walls to be removed or the roof rolled up. 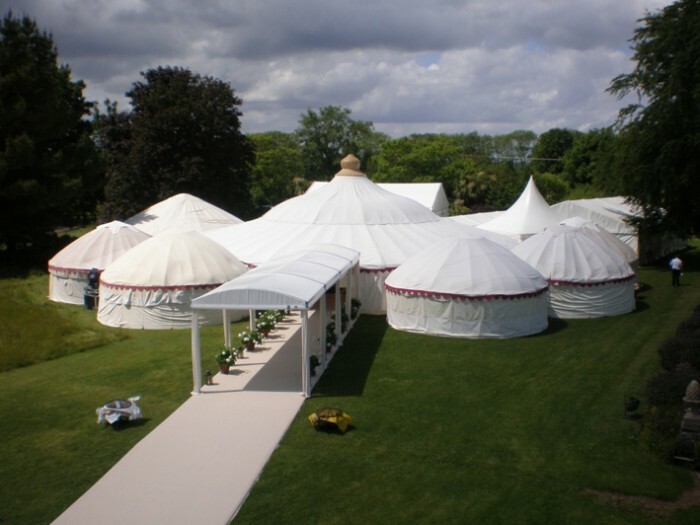 Available in various sizes to suit your requirements. 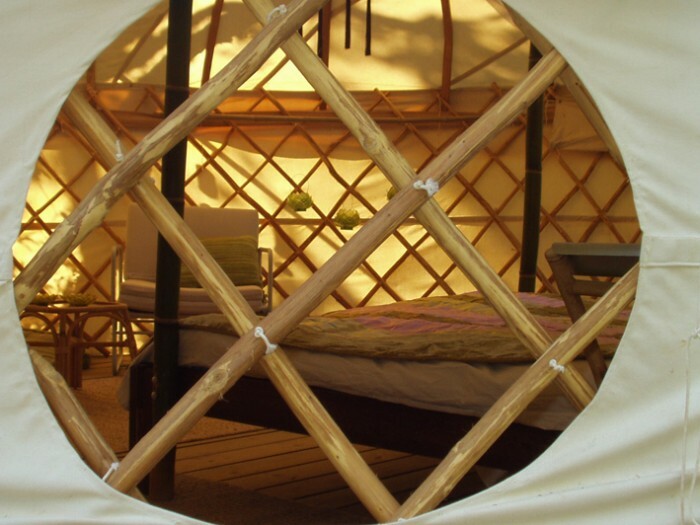 Made from oiled English oak, chestnut and ash and 12oz waxed-cotton canvas our Yurts conform to BS FWR (Fire, water, rot proof) standards. 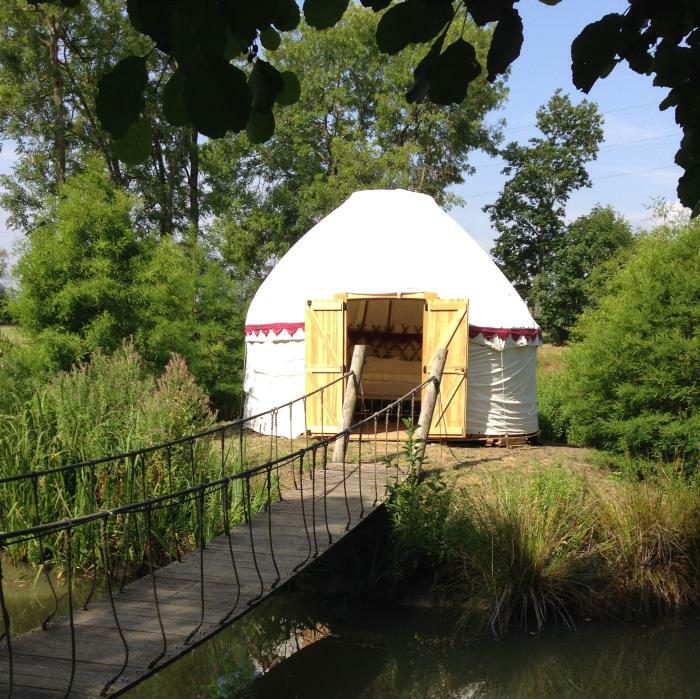 We follow the traditional design of steam-curved roof beams slotting in to a central wooden crown with trellis walls. 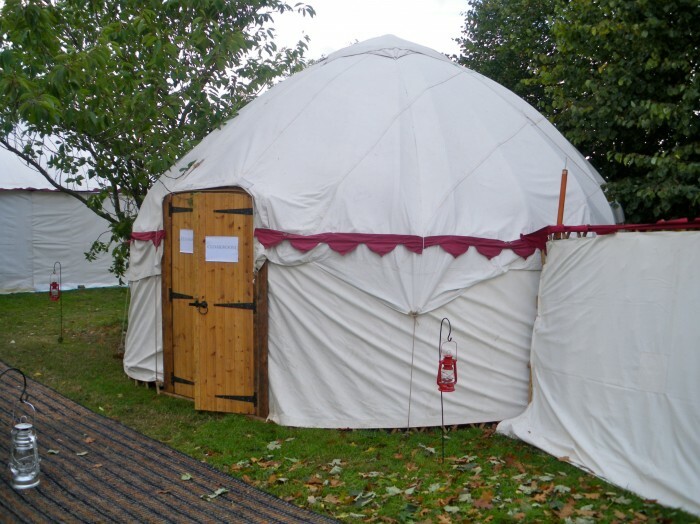 The Yurt is remarkably secure and sturdy and suitable for more challenging weather. 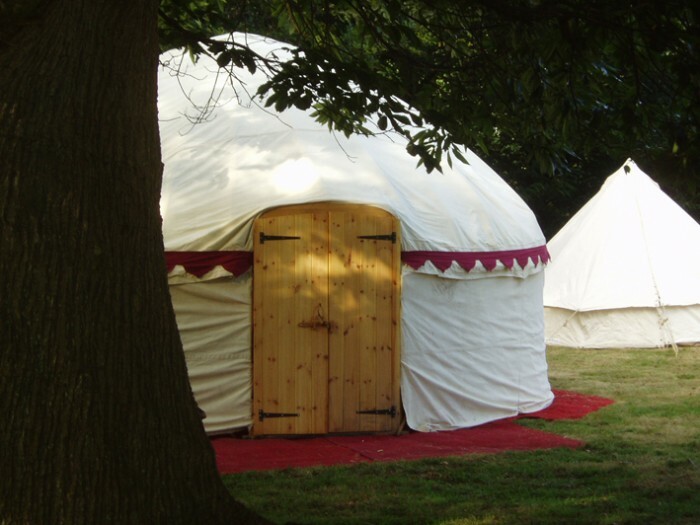 Available with canvas door flaps or lockable wooden double-doors. 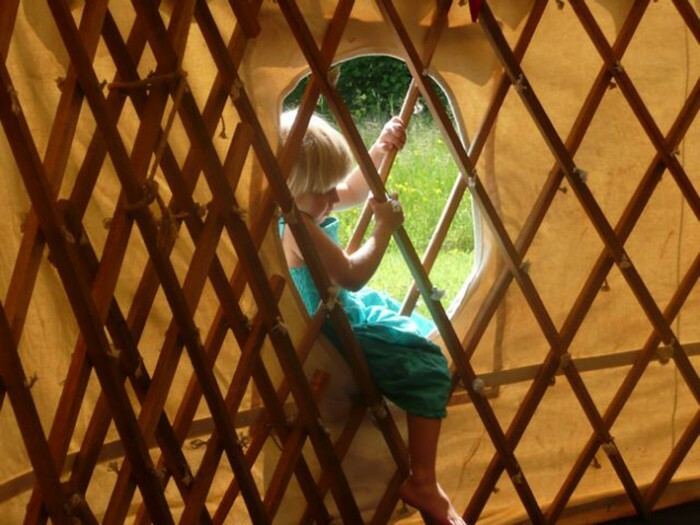 Suitable for short or semi-permanent use. 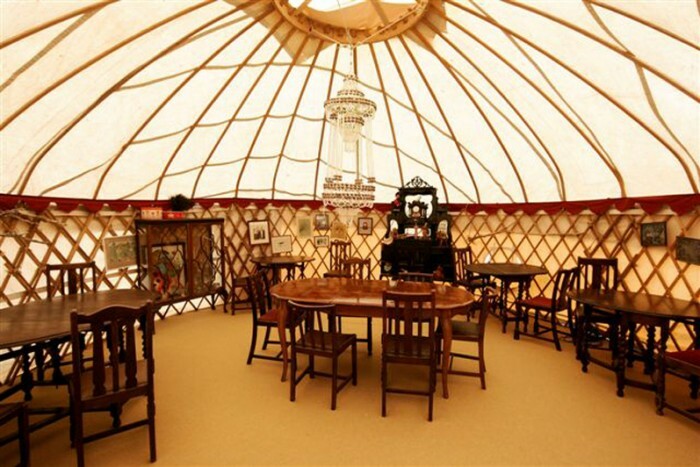 We manufacture all yurts in-house and sell them to order, as well as hire. 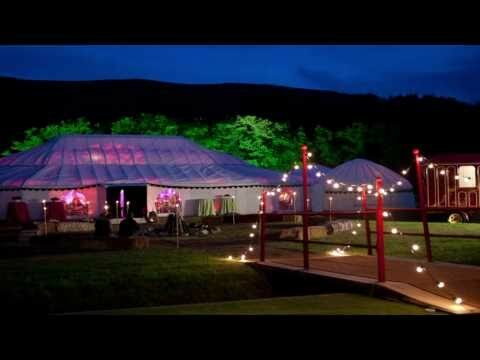 Prices from £600.00 excluding flooring, lighting and linings. 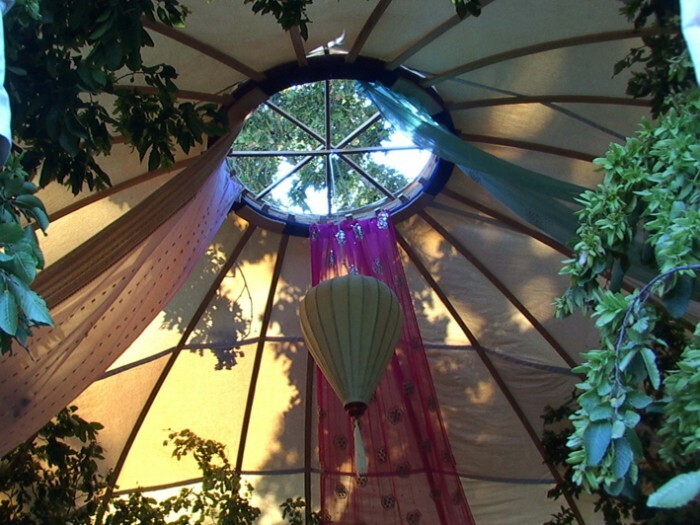 Plus VAT, delivery and installation charges.